The Goddard Center’s presentation of the MET Live in HD continues with Giacomo Puccini's La Funciulla del West. The performance begins at 11:55am on Saturday, November 17th, a rebroadcast of the New York Metropolitan Opera. The doors will open at 10:55am. A light meal with wine and dessert, included in the cost of admission, will be served prior to the performance. Puccini’s “American” opera, based on David Belasco’s play The Girl of the Golden West, had its glamorous and highly publicized world premiere at the Metropolitan Opera, with the composer in the audience. The drama is set during the California Gold Rush, and the girl of the title is one of Puccini’s most appealing heroines—a strong, independent woman determined to win the man she loves. Although it fell out of favor with audiences for a few decades following its original success, Fanciulla has rebounded in popularity in recent years and is now counted among Puccini’s best works. 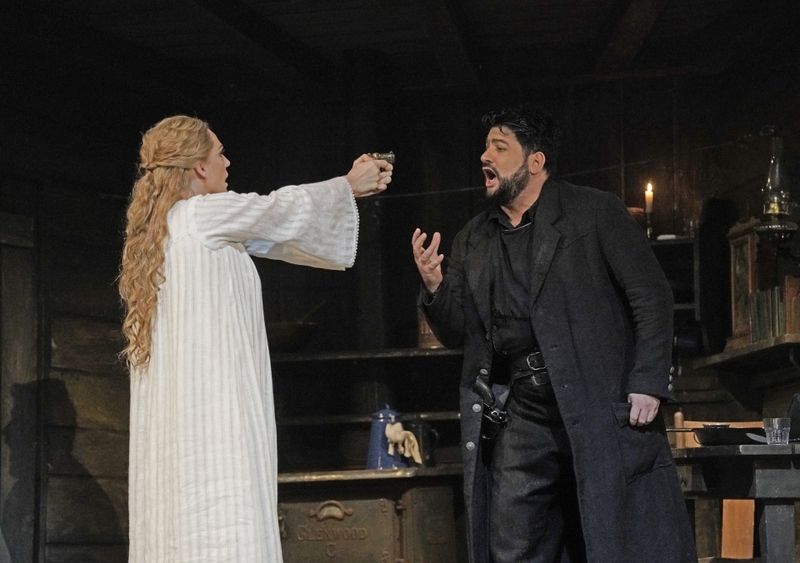 Soprano Eva-Maria Westbroek sings Puccini’s gun-slinging heroine in this romantic epic of the Wild West, with the heralded return of the dashingly handsome tenor Jonas Kaufmann in the role of the outlaw she loves. Tenor Yusif Eyvazov also sings some performances. Baritone Željko Lučić is the vigilante sheriff Jack Rance, and Marco Armiliato conducts. and children 5 years old or younger are $5. Tickets are available in-person the day of the performance. The Goddard Center honors Metropolitan Opera season ticket holders.